My Offer Was Accepted—Now What? Having your offer accepted feels great—but for most home buyers, it’s just the beginning. There is still a lot more to be done before you’re over the front threshold. Here’s a rundown of what comes next. Unless you’re paying in cash, you’ll need to apply for a mortgage loan (if you’re already pre-approved, good for you). If you’re not pre-approved, meet with at least two or three lenders and compare their loan options. Be prepared to ask questions, and be completely open with the lenders about your finances. The next step is getting your home appraised and inspected. Your lender will require your house be appraised by a professional, who is usually provided by the lender. The appraisal gives you a detailed report on the value of the home. If the home’s appraised value is less than the purchase price, you will need to either make a greater down payment or negotiate with the seller to lower the price. A lender won’t give you a loan for more than the appraised value. A home inspection tells you if the home has any issues. Inspections aren’t always required, but you should absolutely get one even if you’re not getting a loan. Go over the inspection report in detail with the inspector to make sure you’re familiar with any problems, their severity, and the estimated cost to fix them. Additionally, you may also want to get your home checked for radon and pests, which are additional costs. If the inspector finds problems, you may be able to get the seller to pay for necessary repairs or lower the price to adjust for the cost. Make sure the funds you need for closing and in reserves are both accessible. If you need to pull money from an investment, do it right away. Keep the paperwork for the transaction to show your lender you liquidated funds to get your down payment. In most cases, buyers are expected to pay for homeowners insurance upfront, before closing. Depending on where you live, you might need extra insurance, like flood coverage. Shop around at several different insurance companies for the best rate. Your lender will need proof of insurance before approving your mortgage. 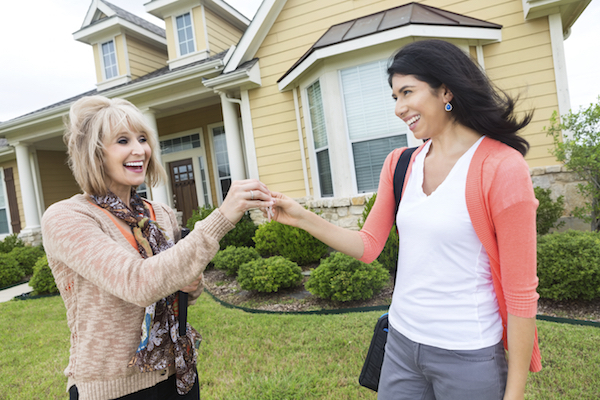 You will be allowed to do a final walk-through of your new home 48 hours before closing. This allows you to make sure any items that should be there, as per your contract, remain. It also lets you check the condition of the home to make sure no extra damages have occurred. If you find anything different from what you agreed upon, you may postpone the closing to give the seller time to fix the problem. It’s important that you catch every issue during the final walk-through. If you spot them after closing, they’re going to be your problem. This is the day when you sign the mortgage documents and officially gain ownership of the property. Most likely your Realtor® will be there, as well as the seller, the seller’s Realtor, the closing officer, and perhaps the mortgage broker. You will need to bring ID and a cashier’s check to pay closing costs, which you will know in advance (and if they look different, don’t be afraid to walk away). Your spouse will also need photo ID. (In some states, spouses are required to attend and sign papers even if they aren’t on the mortgage.) Check with your Realtor about the details of your closing. ← Will You Be Ready When You’re in a Buyer’s Market?